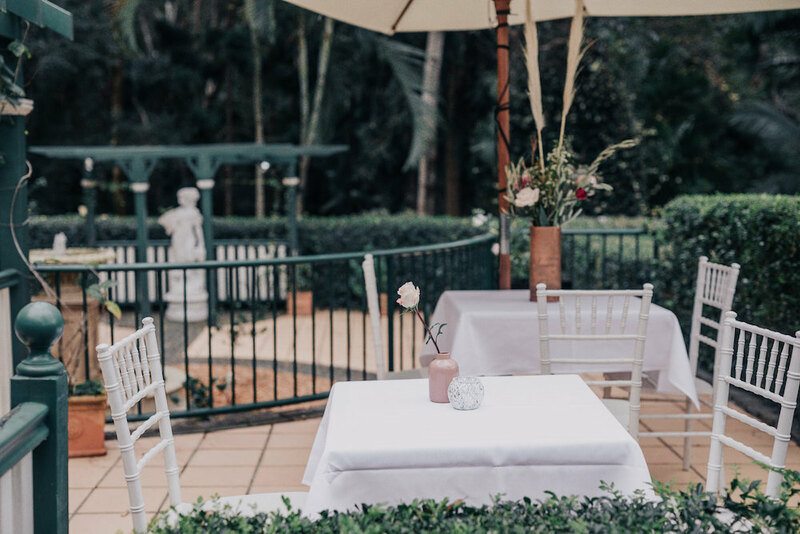 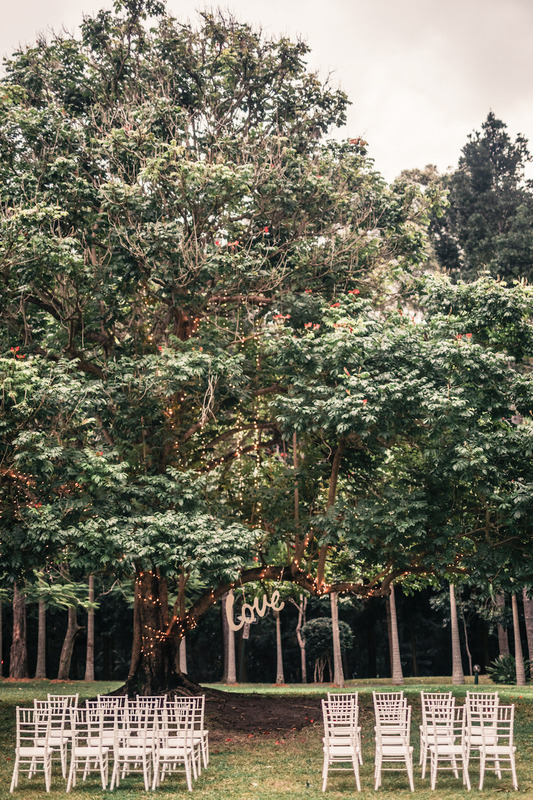 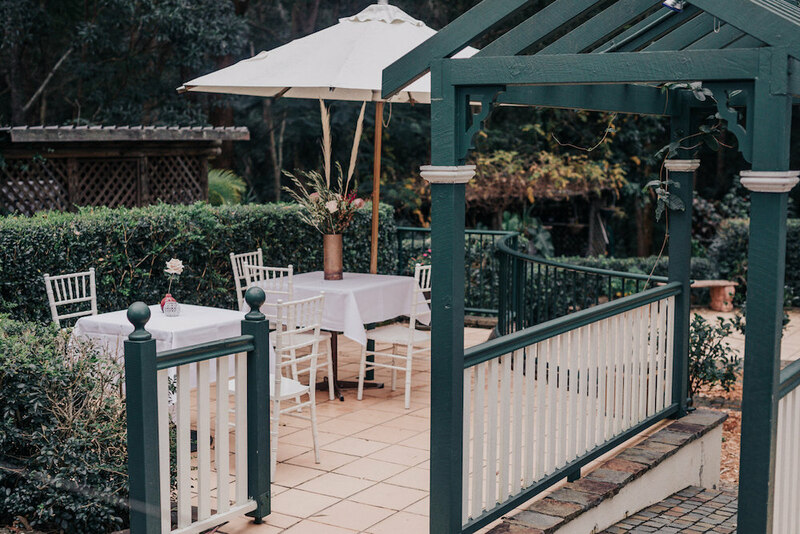 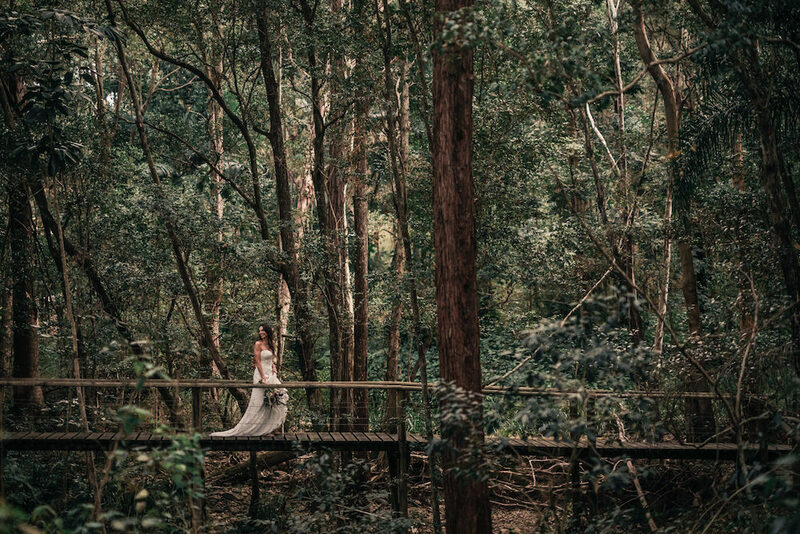 Our Gold Coast hinterland wedding venue was recently brought to life with one seriously gorgeous styled shoot, and we couldn’t be more excited to share it all with you below! 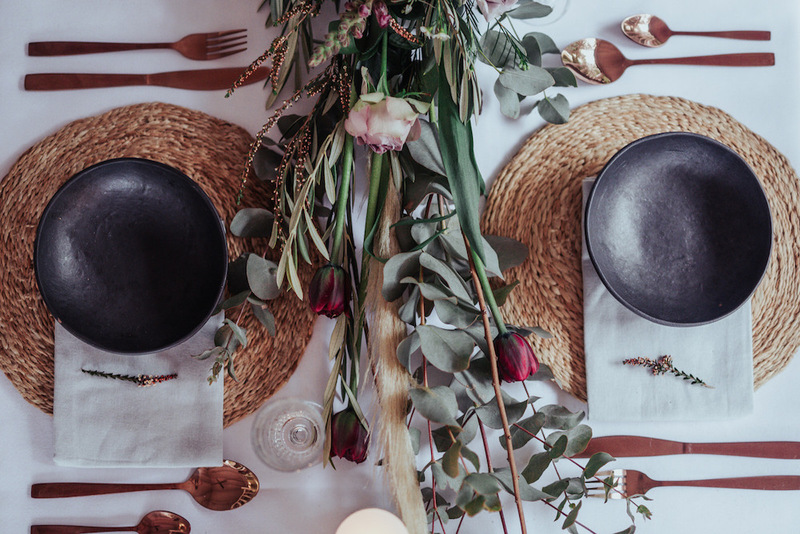 One for the dreamers; this shoot was filled with rich moody tones, lush floral styling, eclectic details and relaxed bohemian vibes, created by Leigh Williams. 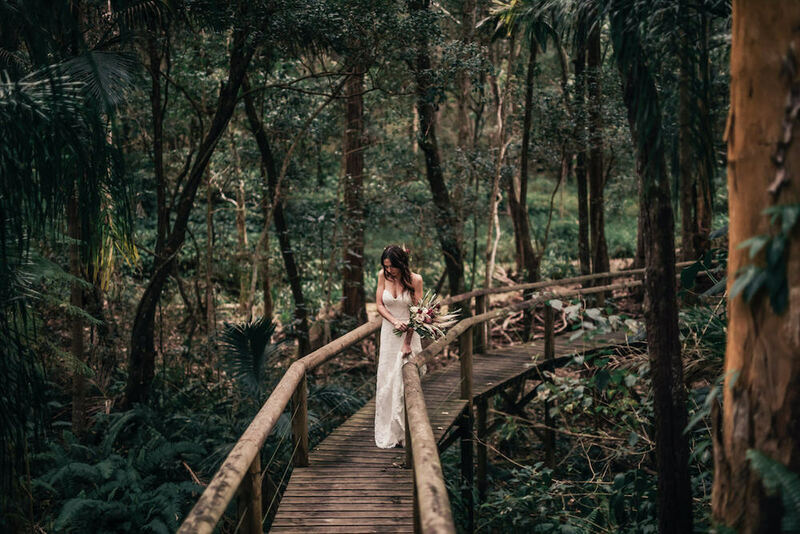 Keep reading for all of the stunning imagery captured by Emma Wise Photography, as we walk you each element of the day. 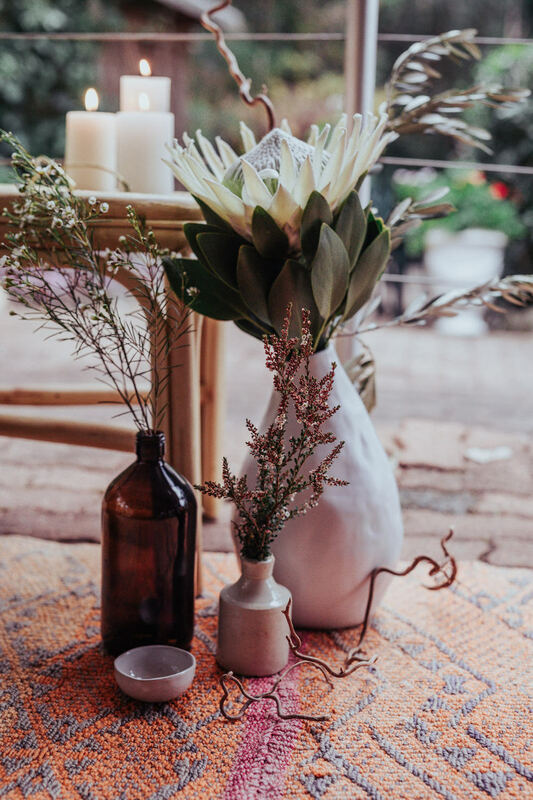 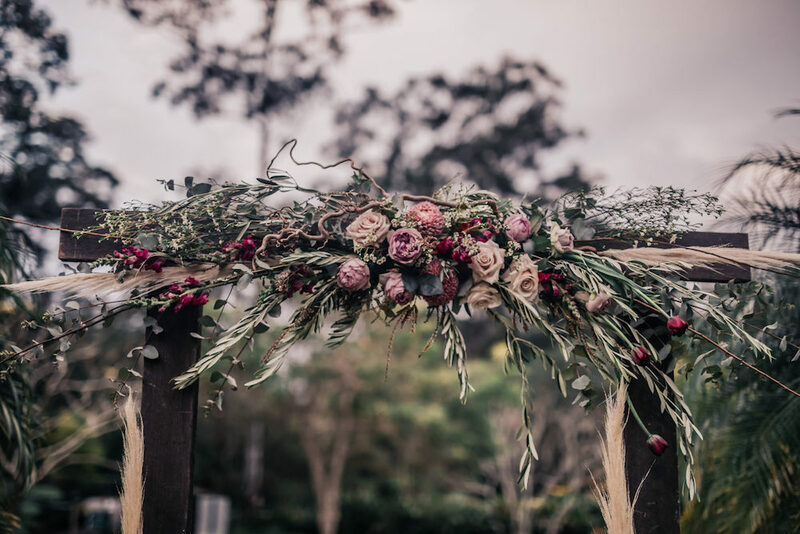 A wild bohemian-inspired ceremony setting was styled amongst garden surrounds, with white Tiffany chairs and a statement timber arbour dressed with moody blush florals and textural dried grass from Wedding Flowers by Keren. 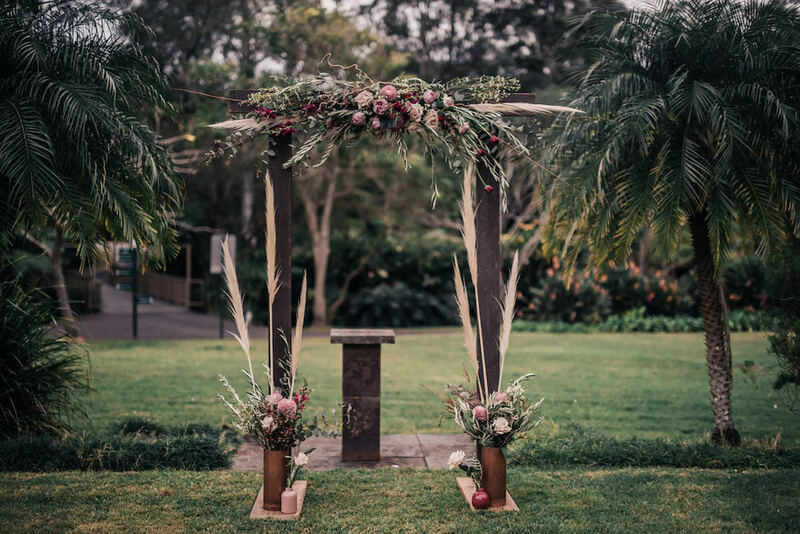 Luxe copper accents and rich berry tones helped to complete the look, contrasting beautifully against our garden backdrop. 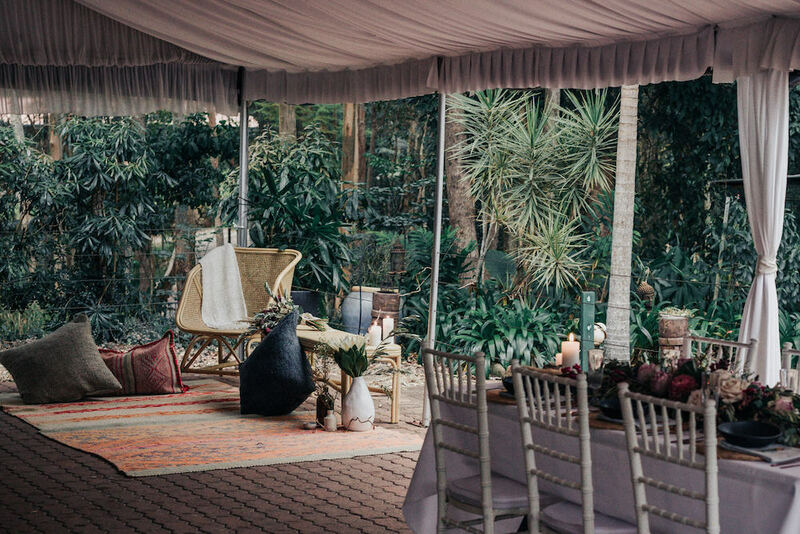 An intimate table was styled on the terrace, with a lush tablescape filled with bold hues and layered textures. 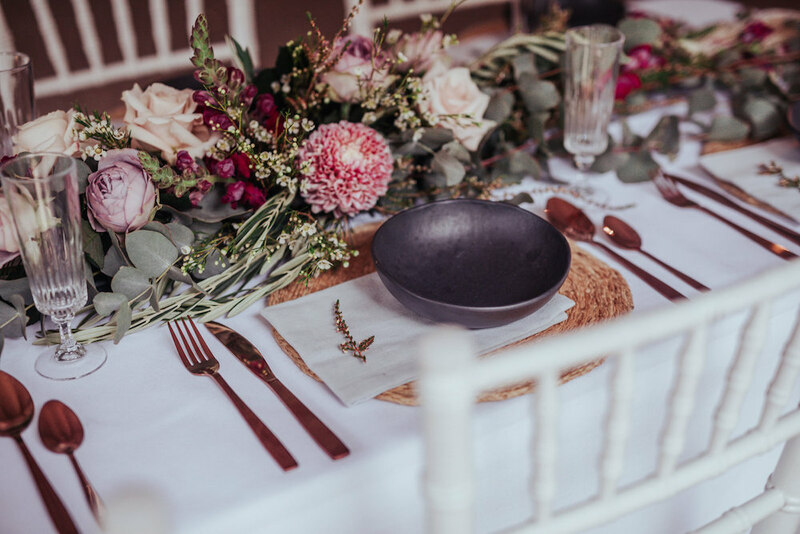 Black ceramic plateware sat atop woven rattan mats, with soft linen napkins and copper cutlery to tie the look together. 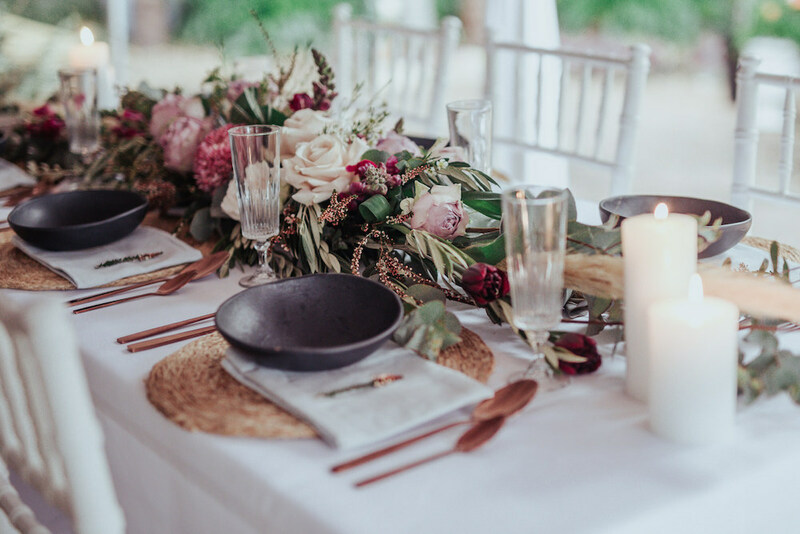 Gorgeous blooms and wild roses created a stunning table garland, with scattered candles, crystal glassware and trailing foliage. 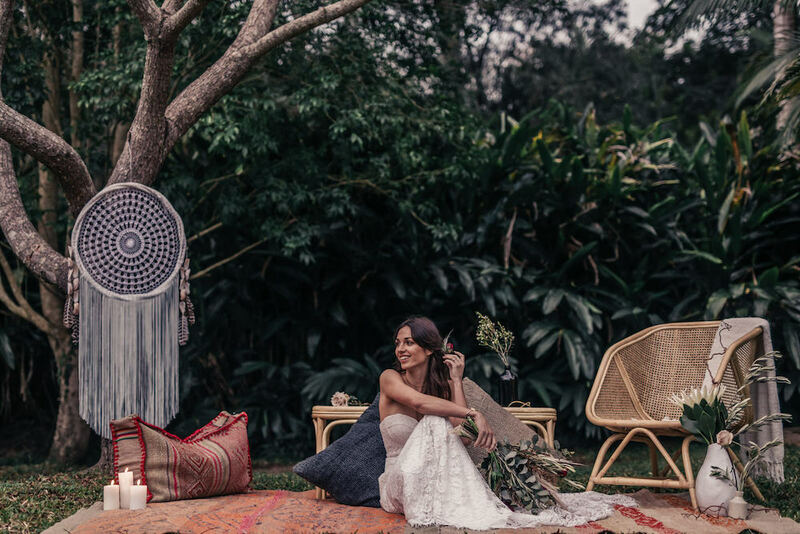 A seperate lounge area was also created using an eclectic mix of boho-inspired pieces, patterned textiles and statement florals, with scattered cafe table seating under garden umbrellas. 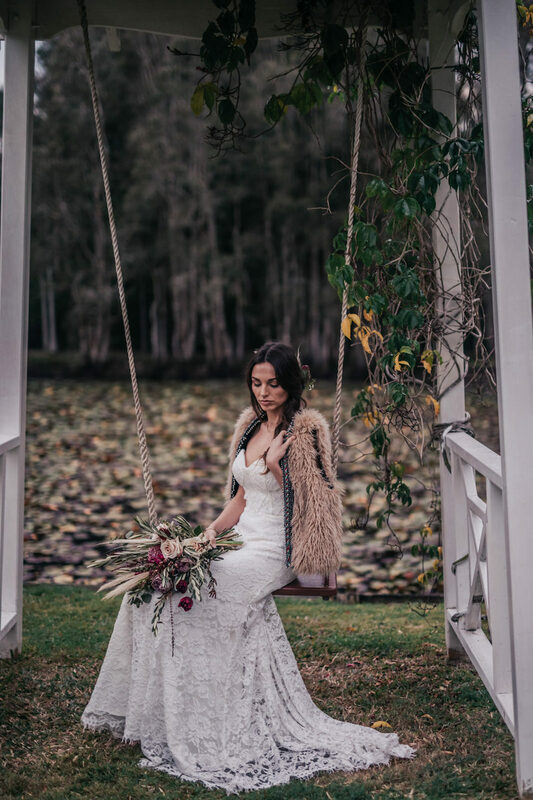 Our bride was beautiful in her Catherine R Couture gown, photographed amongst our stunning natural backdrops, from our sweet garden gazebo to our secluded lily pond and wooden bridge. 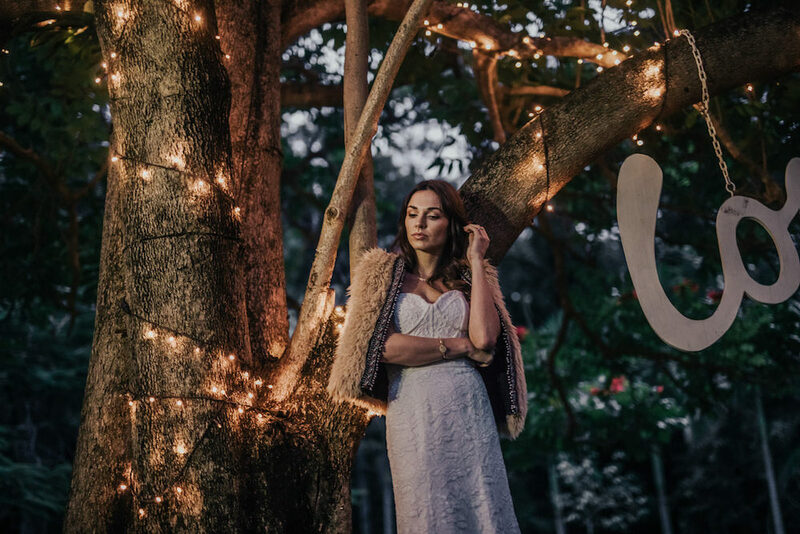 A final ceremony setting was created at dusk by our statement Love Tree, wrapped in fairy lights for a warm, romantic atmosphere. 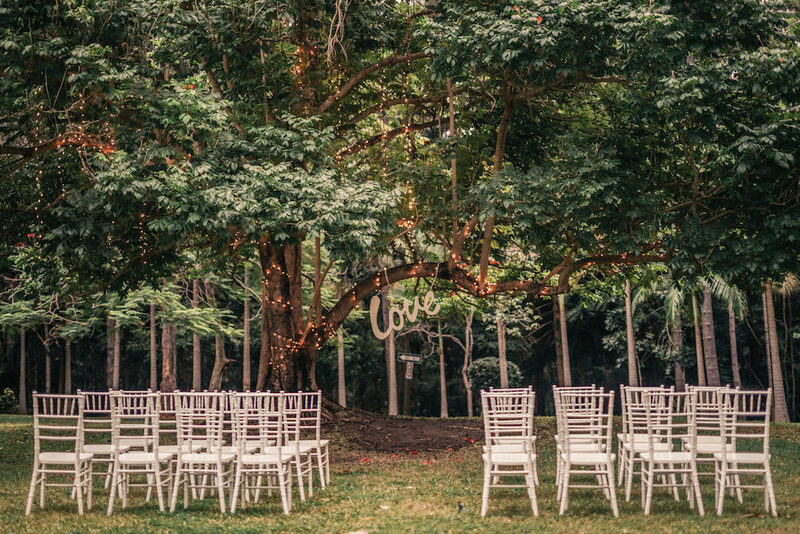 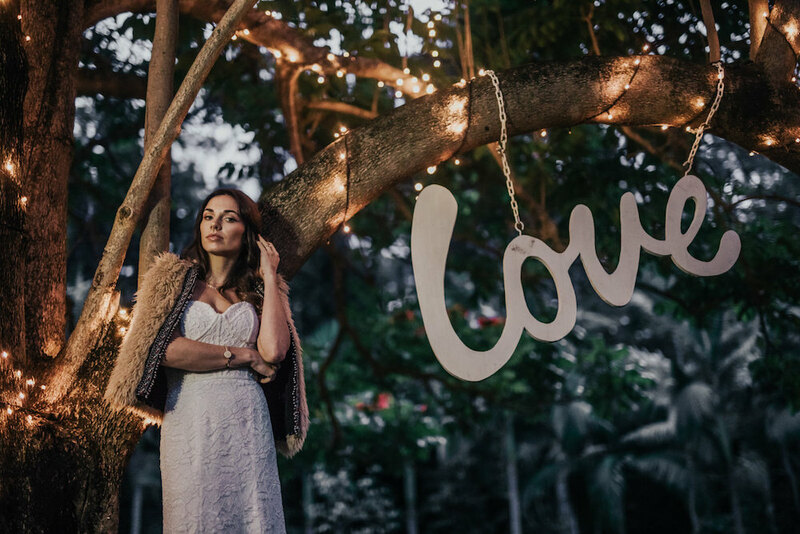 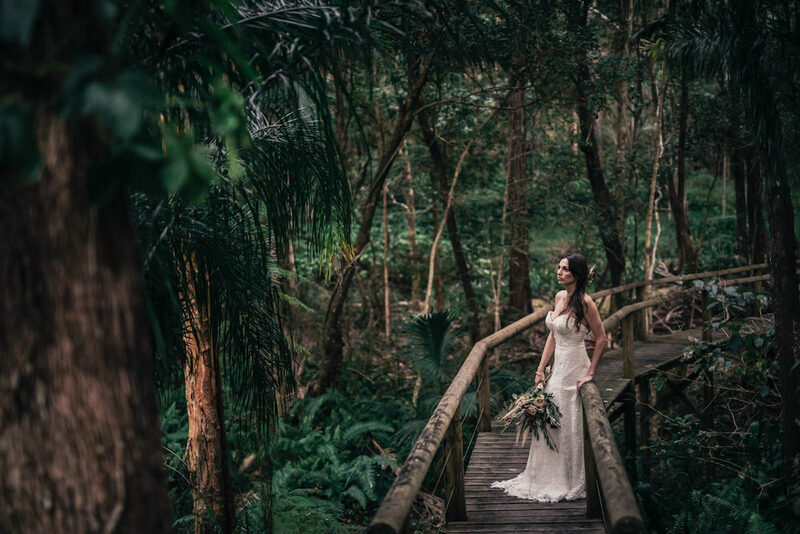 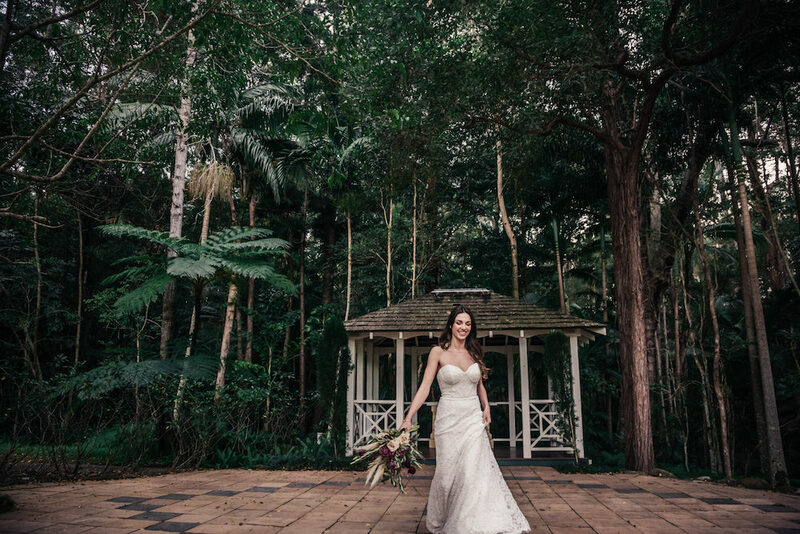 We absolutely loved seeing this incredible shoot come to life at our Gold Coast hinterland venue! 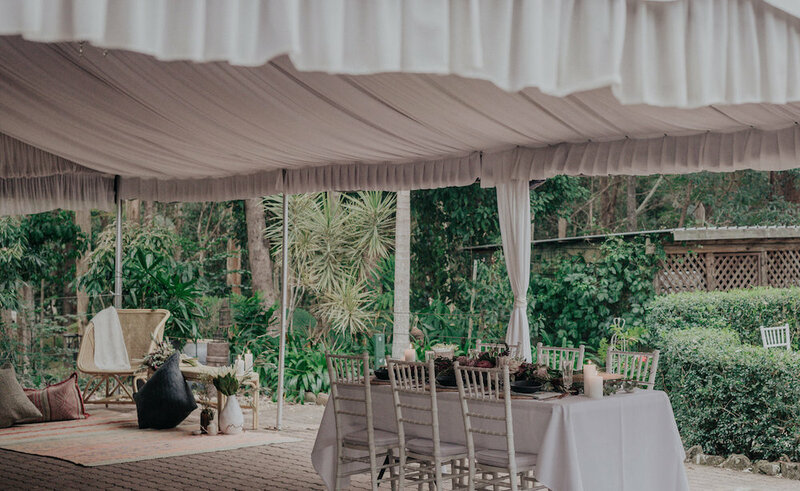 A huge thanks to the talented team of suppliers involved who helped to make it all happen. 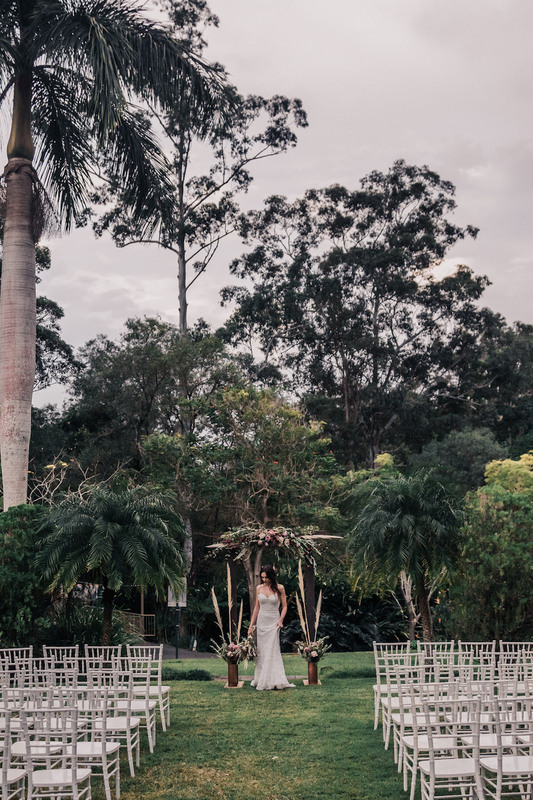 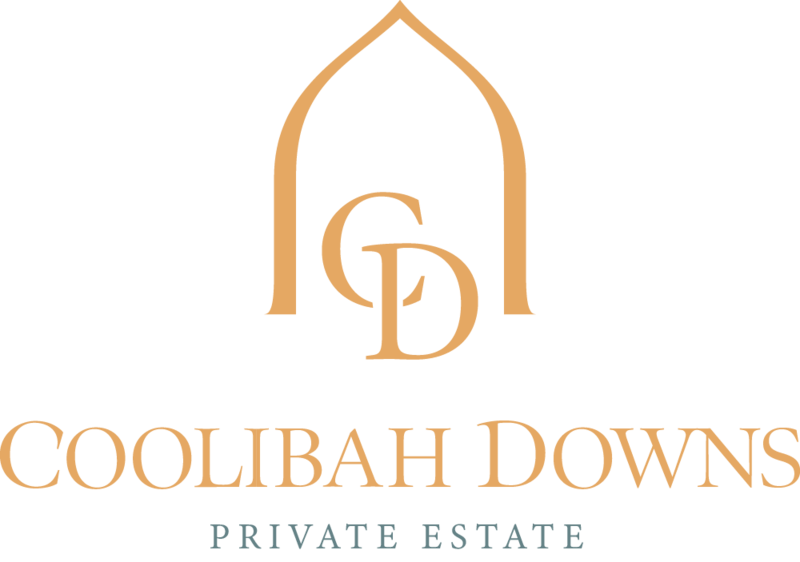 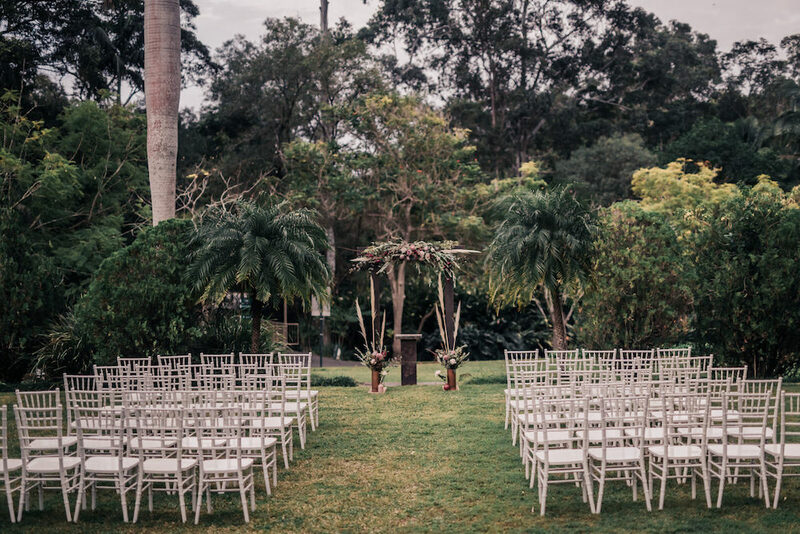 Currently looking for the perfect Gold Coast wedding venue for your upcoming nuptials? 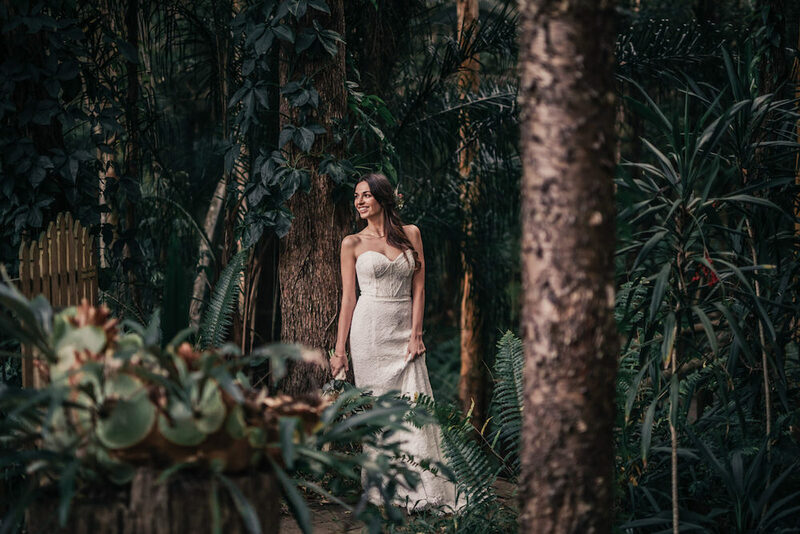 Get in touch to arrange a bridal appointment, or download a copy of our latest wedding packages for more.